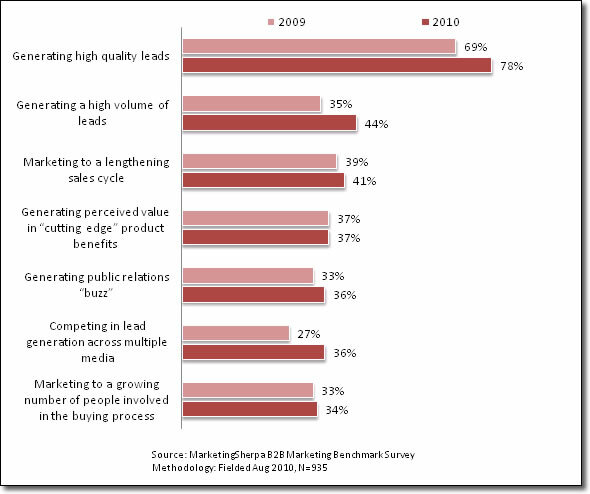 The increasing challenges for B2B marketers in 2010. What do you think? Is this your top three? Would you maybe add a struggle with social media ROI or maybe an internal struggle with sales regarding follow through as your biggest challenges?